Spawake brand is fairly new in India and I was fortunate enough to attend their launch ceremony in April. With a wide range of beauty products, Spawake promises the goodness of Seaweed and sea salt to give an after Spa like glow to the skin right at home! 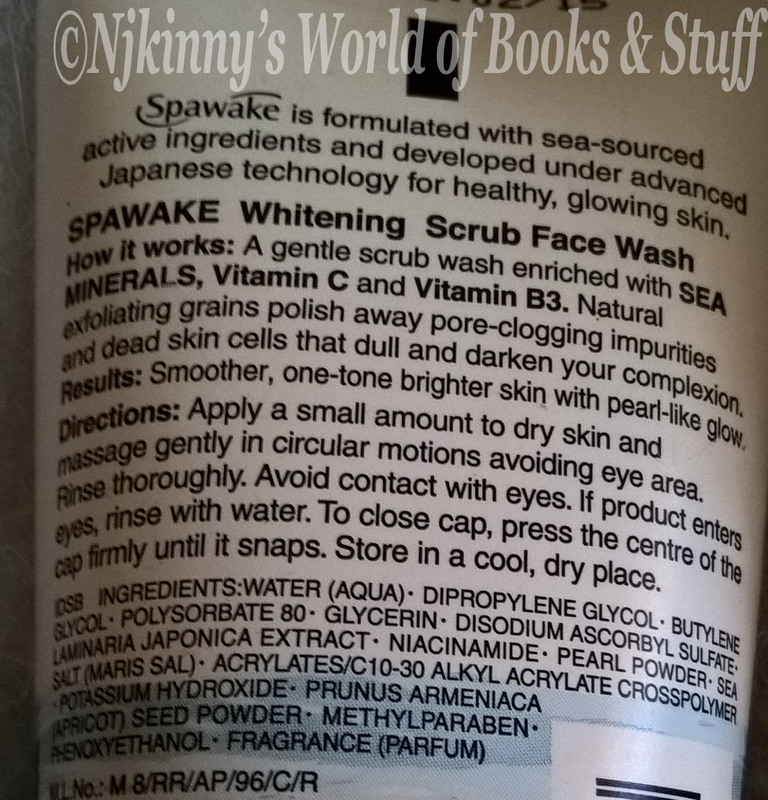 Today, I will be sharing my review of their Whitening Scrub Face Wash with you all. Spawake Whitening Scrub Face Wash is a gentle scrub wash enriched with Sea Minerals, Vitamin C and Vitamin B3. Natural exfoliating grains polish away pore-clogging impurities and dead skin cells that dull and darken your complexion. -Natural scrub derived from the pulverized Apricot seeds. -Gently removes pore-clogging dirt and dead skin cells causing dullness and roughness. -Creates smooth, translucent skin that's one tone lighter. -Doesn't strip moisture away, so your skin is left feeling hydrated without any tightness. -Contains the whitening ingredients Vitamin C and Niacinamide. 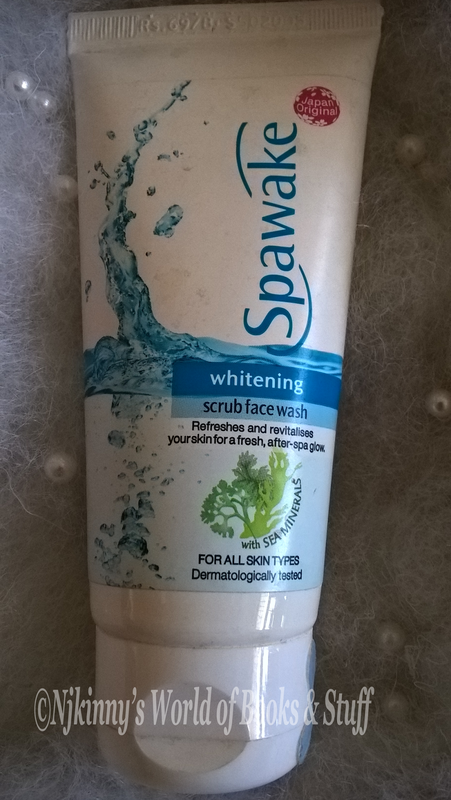 Spawake Whitening Scrub Face Wash is a gel like facewash with tiny brownish particles that gently scrub the skin. It has a floral fragrance that is light and leaves a lingering fragrance on the skin. It cleans the dirt and oil from the skin and retains the skin moisture. -The packing is sturdy and travel friendly. -Its fragrance. The floral fragrance is light, pleasant and not too intense. It leaves a lingering smell on the skin that I liked. -The gel with small granules gently clean the skin, remove dirt and also provide mild exfoliation and are not rough. -It contains natural ingredients like Laminaria Japonica Extract, Sea Salt,Vitamin B3, Vitamin C etc. 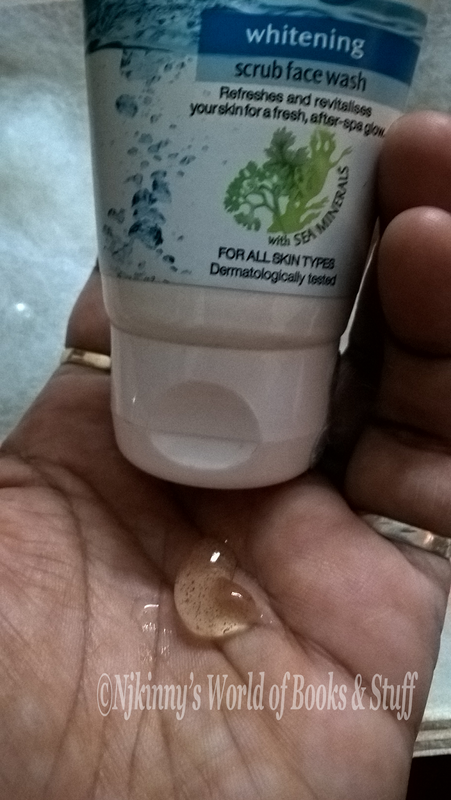 -The natural ingredients are skin friendly and the face wash doesn't cause skin irritation, rashes and any other infection. -The moisture of the skin is maintained and it doesn't feel dry and stretched but feels supple after using the facewash. -The skin feels fresh and clean after the face wash is washed off. -It is suited for all skin types. -The face wash does not lather and produce foam so it is difficult to judge if the amount applied is enough and I often had to take second helpings to get the desired skin cleaning. -It doesn't whiten the skin. -Doesn't fulfill its claim of providing a smooth, translucent skin that's one tone lighter. -The scrub is very light and while it does remove dirt, it doesn't remove blackheads and whiteheads. In my opinion, the scrub particles should be increased and the scrub made more effective. Spawake beauty products are available at major outlets and malls in the Delhi NCR region and can be bought online at Amazon.in and on the Spawake online store. 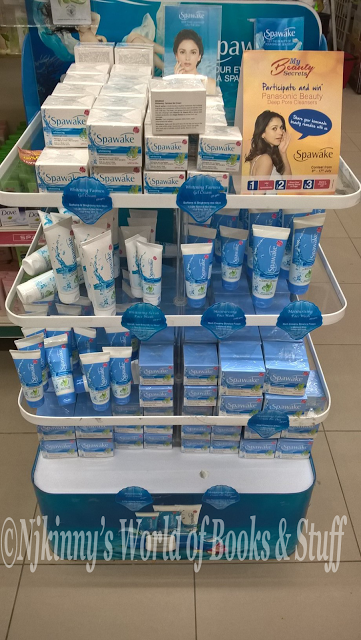 Spawake Products sitting pretty in a mall in my city! 69 INR for 50 gm and 129 INR for 100 gm pack. 3 years from the date of Manufacture. Spawake Whitening Scrub Face Wash is best for light scrubbing but doesn't fully satisfy all the claims made about it. An average product that you can try if you are looking for light scrubbing and a gentle face wash. I give it 3 out of 5. I received the product for review and the above is my honest and unbiased opinion and in no way influenced.